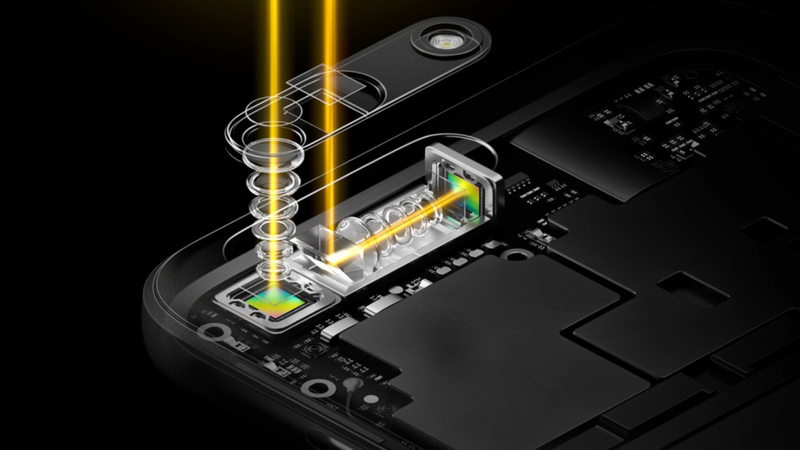 Why it matters: Oppo's periscope-inspired camera technology could be the next big thing in mobile photography. A bit of caution, though - Oppo showed off similar technology in 2017 but never brought it to market. Will that happen again this time around? Chinese smartphone maker Oppo at Mobile World Congress in 2017 unveiled a prototype mobile camera that enabled lossless 5x optical zoom through the clever use of a prism. By bending incoming light 90-degrees, the company was able to position its lens array horizontally across the width of the device, thus overcoming the constraints of a prohibitively thin smartphone chassis. Unfortunately, the design never materialized into a consumer product but that doesn’t mean Oppo gave up on the idea. Instead, it has apparently refined it even further. Chinese tech site Mydrivers (via GSM Arena) notes that Oppo is sending out media invites for an event scheduled for January 16. The tagline on the invite roughly translates to “ten times the view, see you soon,” and has some speculating that Oppo could be prepared to showcase a smartphone camera with 10x optical zoom based on the same sort of technology we saw in 2017. In late December, Twitter user @UniverseIce cited an Oppo official saying they had a 10x hybrid optical zoom technology ready to showcase at either CES or MWC. It didn’t happen at CES which leaves MWC as the next likely date to unveil it.